This picture of me is like 11 years old but I guess I can see some similarity, especially in the chiseled jaws and large biceps. Too bad they didn't cast me instead to be the nerdy best friend love interest in Win A Date With Tad Hamilton. That would have done wonders for my career. 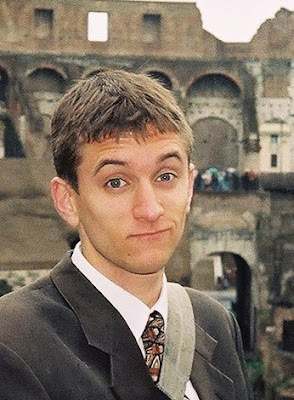 So anyway, if any of you is Facebook friends with ol' Topher, I give you my permission to send him this picture of me to use as his doppelganger this week. He'll probably take it as a compliment. Haven't you learned by now that Robin is always right? :) I first thought both pictures were of the same person! 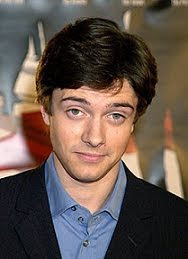 Topher Grace is better than mine: that kid on the Never-ending Story.